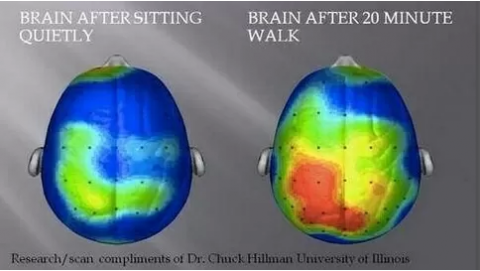 The above image shows the brain activity before and after a 20-minute walk. Working on the physical does wonders for the mental! They are all connected. So, get out and take a walk… It just might increase your productivity AND your intelligence!